Rob sat down for an interview with New York Times. Mental preparation for the New York City Marathon to achieve your race potential. Game management is not an easy task, but a position that requires coaches to be focused on many factors at once, and to react to them in real time while unpredictable events unfold. An awareness of the basic principles that relate to the mental-psychological elements that a competitive game involves will help the coach to reduce the amount of energy required to manage the game, and will significantly help players stay focused on the game and its goals. These principles, which I will describe below, relate to the manner in which coaches communicate with players during the game, and to the way in which they can maintain a particular pattern of real-time instruction that allows them to keep players focused, and as a result also improve game management. These include the dictation of the preferred style of playing, timing replacements, and mostly delivering game instructions to players so that they win the match. To understand how these principles took shape, I will begin by generally describing what concentration is and how it behaves. Concentration is our ability to pay attention to a certain task (on the field, listening to something, learning, and so on) while filtering internal and external factors that do not relate to performing that task. The better an athlete’s concentration, the more they will filter out “interferences” that do not relate to their mission. 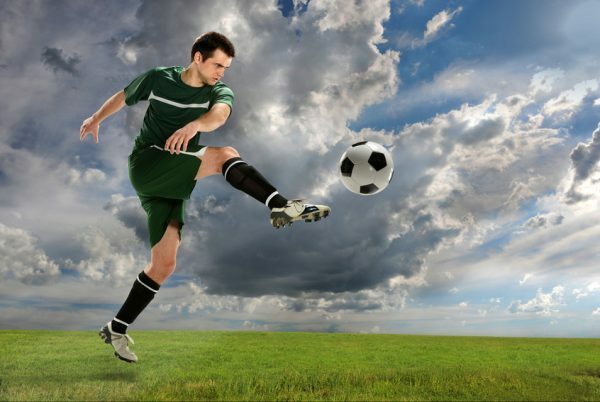 For example, a football player about to shoot a penalty kick will display higher concentration and be able to filter out external sounds such as the crowd, and also internal noises, such as thoughts running through their head. One feature of concentration relates to the way it operates. The brain cannot focus on two things at one time. The illusion of divided attention (the ability to concentrate on several things at once) is, in fact, a rapid movement between two or more stimuli, when in every fraction of a second the brain focuses on one thing, and one thing only. Subjectively, a person might believe they can concentrate on several things at once, but a close examination shows that they are only moving quickly from one thing to the next, and back. Another feature of concentration relates to its duration: high concentration consumes much energy from the brain’s resources. The brain always seeks to save on energy and therefore takes a short break whenever it is possible, even for a millisecond, to recharge and rest. While you are reading this article, your brain takes a microsecond break every time you move from the end of a line to the beginning of a new one. Thus, the game-management principles that I detail here will need to meet the need to keep the player focused on tasks that relate to the match, as every diversion of attention to other things will become a disruption, as we cannot concentrate on several things at once. Also, very short mental rests during the game are essential for the player to allow them to recharge the mental resources which will help them perform the next concentration-intensive task. 1. Pre-match briefing – at this stage, the ability of the player to take in instruction is limited. Therefore the coach must focus on one or two principal directions and no more, as to what they expect the player to do. This way the player can remember the instructions, focus on them and perform them. A large number of directions such as: “I expect you to do this and that and this and that” cause confusion; the player will spend too much time thinking about them, and the resulting performance will look like more than they can chew. When the coach gives the player one direction they focus the player’s thinking to that task; a large number of instructions given at once cause the player’s mind to flutter between various thoughts, which impedes on their concentration. 2. Style of instruction that I do not recommend during games – the form of instruction during a match has to be practical, to drive the player’s concentration and focus back. A player who during the match heard from the coach something like: “that is not how you pass” will spend the next minutes thinking about how to pass correctly, which would help in practice but only disrupts during a game. The player will divert their attention to how to pass, and not to events on the court. In fact, the coach now suffers a loss of half a player for a few minutes. Another type of instruction that damages the player’s level of concentration is the “why” group of queries, for example: “why aren’t you going on defense,” “why don’t you do what I tell you,” “why are you doing this or that.” “Why” questions cause the player to instantly divert their attention to a flood of internal thinking like: “the coach is not happy with me,” “what does the coach want from me,” and more and more. Ultimately, unanswerable questions, in most cases (why is it like that? Because it is). “Why” type directions are not practical, they do not help to drive the player back into focus and do not contribute to the coach’s goals. Conclusion – directions given by the coach during the game have to be practical and relevant to the actions expected from the player, and not derisive or defiant in any way. During a match, criticism creates a flood of thoughts that do not contribute to concentration, and as long as they are not performing well, this can only damage their performance even further. 3. Style of instruction that strengthens and maintains concentration – this type of instruction is defined as task-oriented guidance. Its goal is to direct the player’s attention to performing the task at hand. Its style is practical, and its beauty is in being short, simple, devoid of criticism, and in helping the player to focus their attention on what is expected of them, helping them to ignore any internal or external distractions. As a coach, I want to tell my player what I do want them to do in a focused and succinct manner. For example, “I want you to move on the line”, “pass inside the yard”, “go to defense”, “pay attention as you move right”, “focus when you throw”, “pressure the opponent”, and “stay calm” (as opposed to “don’t stress out”). When a player receives task-oriented instruction like that, their attention immediately shifts from wherever it had been to the task at hand. Conclusion – the competitive arena is full of internal and external stimuli that often divert the player’s attention. A practical task-oriented instruction, which is about what I do expect from them, will focus the player and help them concentrate. 4. Dosage – the number of instructions given during the game is also important. An excess of instructions may cause an information overload. Game instructions should be given moderately in a way that does not burden the player. Here, the coach’s acquaintance with the players has a significant role. Some players need a greater number of instructions, and others less. Also, an excess of guidelines does not allow the player to take mental breaks that are necessary to recharge. In summary, the communication style of the coach during a game influences the quality of concentration of players for good or worse. By following the principles that encourage concentration, you will help the players to achieve their best. Also, because this style of instruction is short and focused, it does not steal time spent on explanations, does not waste the coach’s energy, and helps them to stay alert and focused on what’s happening on the court. 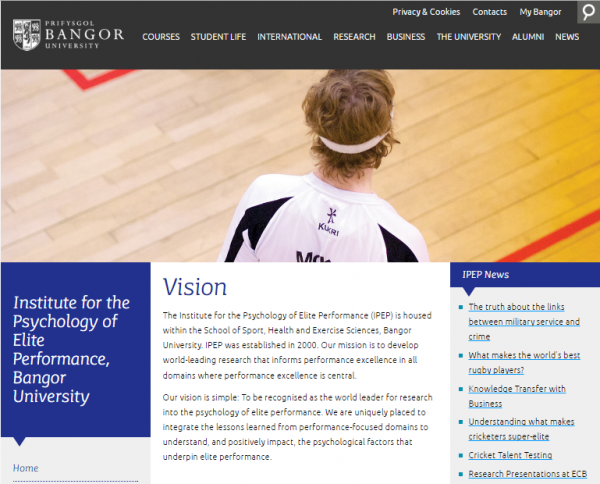 Led by Dr. Itzhak Zur, Behavior Therapy of New York is conducting a collaborative project with the Institute for the Psychology of Elite Performance at Bangor University, U.K. The project investigates the relationships between psychophysiology, emotion, and athletic performance. Your goal should be as specific as possible. Ambiguity in our goals makes it easier to ‘slack off’ when we are pursuing them. For example, saying your goal is to “lose weight” is unclear and allows for wiggle room in the effort you put towards achieving it. Instead, set your goal to “exercise three times a week for 45 minutes each.“ The more vivid our description of the goal, the more likely we are to achieve it. You should be able to objectively measure your goal. Referring to the example above, you will know you hit your goal if you in fact exercised for 45 minutes at the frequency you wanted throughout the week. Additionally, pick how much weight you want to lose and at what frequency (e.g. two pounds a week) If your goal is too vague, it will be difficult for you to measure it. Describe your goal with action verbs. Referring to the example above, it is better to describe your goal as, “I will exercise three times a week” rather than, “I want to be in better shape.” Further, outline the steps it will take for you to accomplish your goal. Figure out what short-term goals you will have to achieve along the way to hitting your long-term goal. For example, maybe you have to get a gym membership first, and map out a schedule of when you will exercise before you get into your routine. A good goal should be difficult to achieve but not too difficult that it is impossible. Because you will be setting a difficult goal, it is important that you be able to adjust it along the way. If you find yourself falling short of what you set to achieve, check-in and see if you need to adjust your goal downward or increase the amount of effort you are putting forth. Pick a date when you would like to accomplish this goal by. Once you have picked an end date for your goal, you can map out some of the short-term goals you need to accomplish along the way. SMART goal setting works because it directs your attention to the most important behaviors you need to execute (e.g. losing weight feels less overwhelming when your attention is re-directed to exercising three times a week). Good goal setting can help mobilize your effort and prolong your persistence (e.g. you hit your two pound loss for the month, which inspires you to work at it for another month). Lastly, it can foster the development of new strategies you come up with to accomplish your goal (e.g. trying out a new exercise class or routine). It is easy to get discouraged or distracted when pursuing goals, so makes sure you keep in mind what you want to achieve at the end of all your work, why you want to achieve it, and how you are going to achieve it. There has been a drastic increase in the instance of sports injury. This increase is partially due to an increase in participation, but there is also an increase in the proportion of athletes that are getting injured.1 As a result, there has been a lot of research about the physical and psychological factors that influence an athlete’s successful return to sport. The return to sports model suggests that an athlete’s ability to pass successfully from one stage to the next in their return to competition is contingent upon physical elements, such as the injury healing and physical conditioning, as well as psychological rehabilitation. Second, an athlete’s identity is at risk after an injury. Imagine that a person who is used to identifying as an ‘athlete’ and participating in sports/exercise on a daily basis is suddenly labeled ‘injured’ and unable to exercise for weeks or months. Disturbances to identity can also affect an athlete’s feelings of self-worth. Self-worth is usually attained through three basic needs: (1) the need to feel competent, (2) the need to experience achievements, and (3) the need to feel accepted.4 An injury prevents athletes from feeling confident, experiencing success in sports, and feeling connected and accepted by their teams. It is important to note that although several factors play into the psychological recovery experience, an athlete’s cognitive appraisal (or interpretation) of the injury and rehabilitation experience have a huge impact on the emotional and behavioral response to the injury and recovery. Psychological intervention, like counseling, can decrease the distress throughout recovery as well as facilitate a healthy and fruitful return to sport. Dr. Rob Udewitz has been working with New York Road Runners’ Team for Kids program for the last ten years, providing performance consulting for the athletes involved. Team for Kids is made up of a group of adult runners from around the world who raise funds for NYRR’s Youth and Community Services programs while training for endurance events. The funding provides support for kids such as free or low-cost health and fitness programs to kids who would not usually have access to them. For many of the amateur athletes, it is not just about giving back to the community, but also about maximizing their performance. Rob’s personal experience with running (he ran his first NYC marathon at the age of 17) let him bring his professional and personal insights about running a marathon. Rob works with the athletes to help them understand their discomforts and pain thresholds, and how much can you negotiate with that discomfort to perform your best. In his lectures, Rob helps runner become more aware of their fears as well as share those concerns with others. Some common themes that come up are focusing on the result of finishing the race, pacing, breathing, and maintaining energy. Rob emphasizes the importance of an emphasis on the process. He explains how important it is to cultivate a “beginner’s mind” where you have the spirit of excitement and adventure. He says this ‘let’s see’ attitude helps us balance the critical mind with the learning mind, and cultivate peak performance. Find one of Rob’s talks with New York Road Runners’ Team for Kids here. From one week to the next and from one game to the next, sports clubs (the professional teams, parents and players) live on an emotional roller-coaster. After a win – self-confidence rises and everyone feels great until the next game. After a loss – self-confidence decreases and is joined by a feeling of disappointment that is gradually replaced by an expectation to win the next game. Itzhak Zur, Sports Psychologist, discusses the ways to improve and maintain high self-confidence even in teams that do not experience wins every week. Everybody loves to win. Winning is fun. Wins are accompanied by various feelings of elation, euphoria, solidarity, unity, high self-esteem and optimism. Research shows that even testosterone levels in the body rise after a victory – which positively affects the players’ physical abilities. And yet, as we know, most teams do not experience winning consistently. Moreover, a team that is positioned somewhere in the middle of the chart (not a bad place to be at all) will lose on average half of all matches every season. Should players in teams from the middle of the chart and below feel second-best for more than half the season? The answer is not necessarily, and necessarily not! The way to avoid a decrease in the self-confidence and self-esteem of players is by setting different kinds of goals. One goal of course is winning the next game – this is something we strive for regardless. Only it is important to remember that this is not a goal that depends solely on us, but also on the team we are up against, so we do not have complete control over it. The second kind of goals are those that relate to our personal process of improvement, which we do have complete control over and does not depend on others – whether on a personal or on a team level. Setting personal and team goals that focus on improving abilities that we have complete control over, gives the players a sense of accomplishment and progress. A player who has met their own goals will go home after the game feeling accomplished and with an increased self-confidence, even if they had lost. Fulfilling one personal goal creates a safety net for the disappointment that accompanies defeat. A team who has set the goal of improving their defense, and indeed displayed better defense abilities in the game, will come out feeling accomplished and successful even if they had lost. It is interesting to note that research consistently shows that teams and players who focus on goals that relate to the improvement process itself (which they have complete control over), also bring themselves to more victories and success in the future. This is mainly due to the fact that a sense of high self-confidence and capability are extremely important.